Happiness is fresh food, like these Buddha Rolls from Pei Wei. 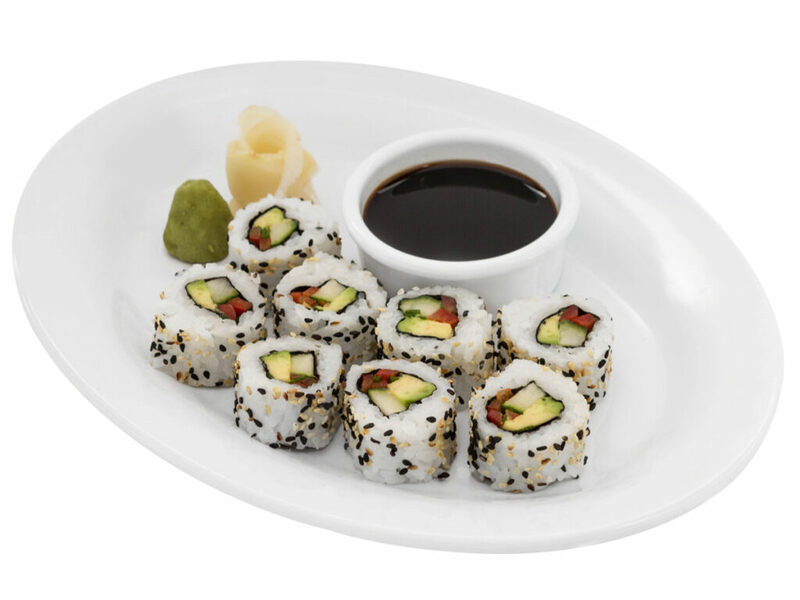 Diced cucumber, creamy avocado, sweet red bell pepper, and scallions all tightly wrapped in sesame covered white rice. A friend of mine recently asked me to check out Pei Wei‘s brand new menu and share my opinion of the dishes I tried. Quite honestly, you don’t have to ask me twice. This was the perfect opportunity to grab my family and enjoy a night out. Pei Wei had recently introduced quinoa as an option to replace rice (YAY! ), and now they’ve increased their menu to include even more hand-selected ingredients to maximize nutrition and flavor, keeping with traditional Asian cuisine. New dishes range from Japanese Steak & Shrimp Chile Ramen to the Southeast Asian flavors of new Thai Basil Chicken and Supergreen Thai Coconut Curry. Their new Sweet and Sour dish is perfect for the kiddos and 4 new salad bowls, sounds delightful (minus the meat). They also have new starters like Blistered Green Beans, Sesame Broccoli and their Cucumber Avocado Buddha Rolls (which I ordered). I really appreciate that these rolls are made fresh, at the time of their order. Fresh & crunchy cucumbers, mixed with creamy avocado with little pieces of sweet red peppers was the perfect blend of ingredients. Dip ’em in soy sauce or simply add a dollop of wasabi paste and it’s a party in your mouth. The only thing I disliked about the rolls is that I only got 4 pieces instead of 8. I guess that means I will have to go back. Xander’s order was a little different from mine as he ordered Honey Seared Chicken Kids Meal. Although this is not “new”, what is new are the veggies it now comes with. When you get your kids eating more veggies, that’s a good thing. There’s just so many more options, including a larger gluten-free menu. Pei Wei makes it pretty easy for everyone to get exactly what they want. So much easier than trying to make multiple dinners for everyone’s dietary needs. Don’t take my word for it! While the menu is still available, head out while you can and try one of their new dishes. You can view the full Tulsa menu here. If you live somewhere else, check the top right corner where it says “LOCATION” and edit it to see what’s nearest to you. 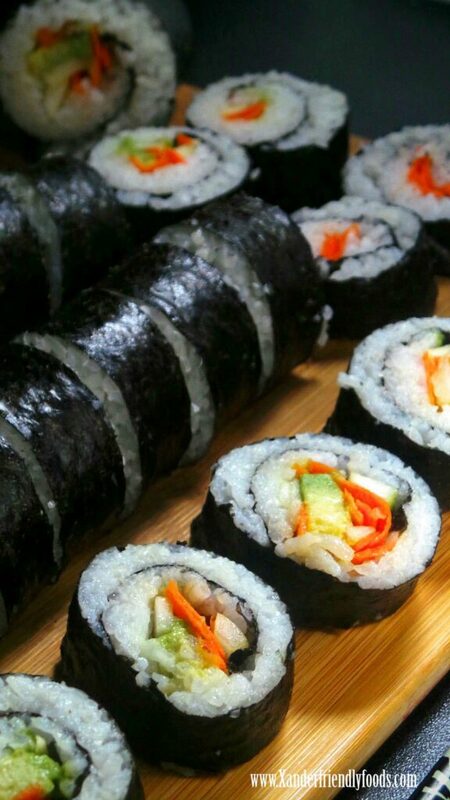 If you’re having the craving for veggie rolls and can’t get away tonight, feel free to check out my Lunchbox Sushi recipe. These will hold you over until then! As always, when you go out, check ingredients online and double-check with a manager or chef when food allergies are involved. Our family is sure to never do peanuts, dairy or eggs and thankfully, they’ve been able to accommodate. 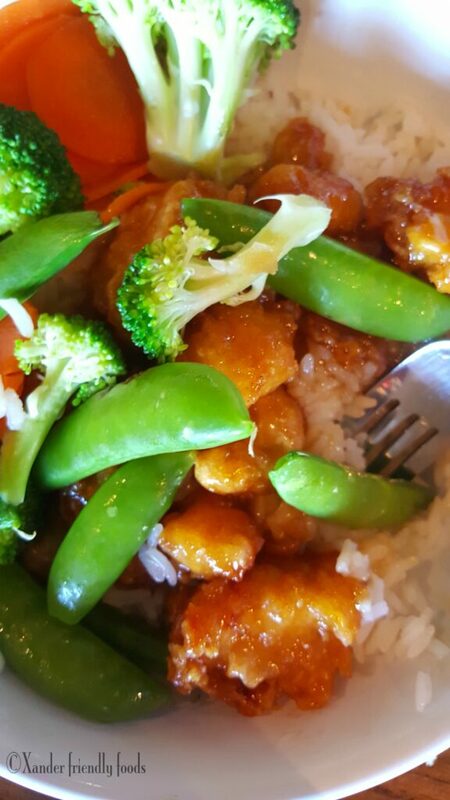 Have you tried any of Pei Wei’s new dishes yet? What would you like to try to how will you make them allergy-safe or vegan-friendly? Let’s continue to connect & encourage others with food allergies & restrictions. Follow Xander Friendly Foods on Facebook and Instagram for the newest, allergy-friendly & vegan, Foodspiration then visit me on Twitter to join all the #hashtag fun! Pinterest is another wonderful way to share with others, so be sure to follow me there too & “pin” like crazy! If you like to stay updated on posts, simply subscribe to Xander Friendly Foods in the top box and you’ll get every new post & recipe directly to your inbox! Perfect for those of us who hate waiting!